On Aug. 26, the Visible Infrared Imaging Radiometer Suite (VIIRS) instrument aboard NASA-NOAA's Suomi NPP satellite captured a visible image of Tropical Storm Pakhar over southeastern China. 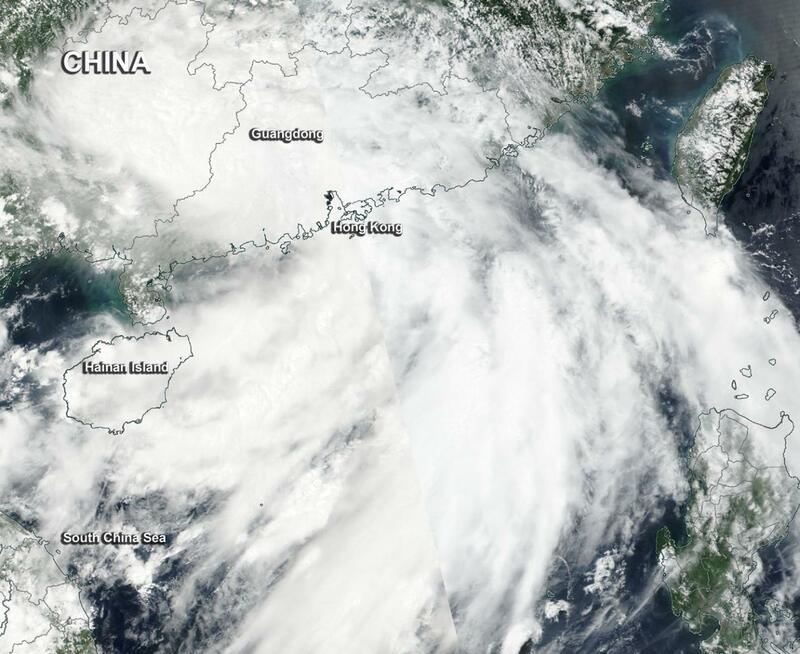 The image showed the center of circulation over southern Guangdong Province, and the bulk of clouds on the eastern side of the circulation extending into the South China Sea. The Joint Typhoon Warning Center issued their final bulletin on Pakhar on Aug. 27 at 0300 UTC (Aug. 26 at 11 p.m. EDT). At that time, Pakhar had maximum sustained winds near 63 mph (55 knots /102 kph). It was centered near 21.8 degrees north latitude and 113.4 degrees east longitude, about 54 miles southwest of Hong Kong, China. Pakhar was moving to the northwest at 21.8 mph (19 knots/35.1 kph). Pakhar is expected to dissipate inland in the next couple of days.